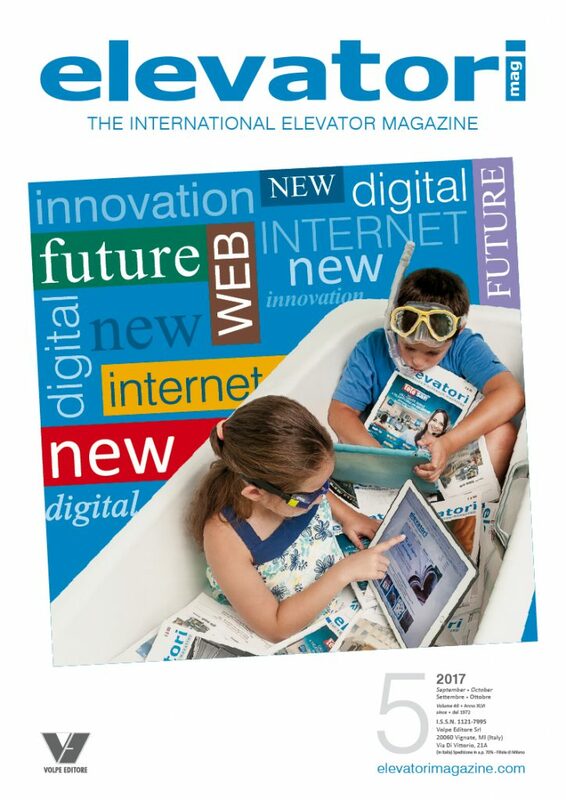 Elevatori – The International Elevator Magazine is one of the leading magazines in the international vertical transport sector. 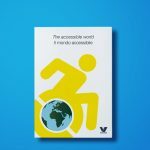 The magazine is ranking second in importance and circulation worldwide, and ranking first in Europe and Italy. Today Elevatori is recognised by the vertical transportation operators as the leader from the technical viewpoint. 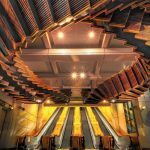 Elevatori is a modern, dynamic magazine, committed to a constant updating of its readers concerning the latest techniques and trends in the design and development of vertical transportation means. Installers, designers, engineers, marketing dept., building managers, architects, etc. 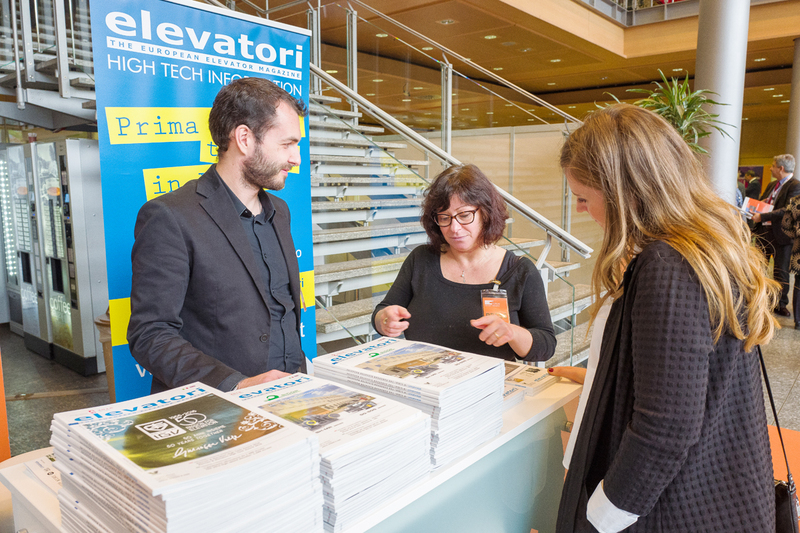 Elevatori informs and updates operators, installers, designers, engineers, marketing office staff, building managers and architects about materials, techniques, trade issues, researches and developments in specific fields of the vertical transport sector (lifts, goods lifts, escalators and moving walks, cableway systems, lifting equipments, accessibility products, etc.). 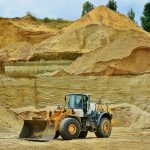 Technical articles are used for lessons at university specialised courses, courses for post-graduate students, seminars and conferences at national and international level. Topical Subjects: exhibitions, conferences, seminars, market data and analyses, etc. Laws, Standards & Regulations: all the Italian and international legislative news. News & Buzz: information from all over the world. Architecture: innovative and avant-garde projects. Associations: all the most important Italian and international organizations. Italian and international exhibitions, association assemblies and conferences. 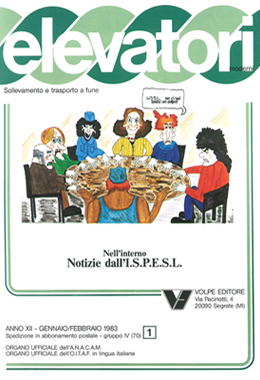 The Elevatori magazine was founded in Milan in 1972. 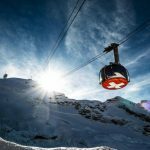 This was the answer to the need felt by the people operating in the vertical transportation industry (passenger lifts, goods lifts, escalators, aerial ropeways and lifting equipment in general). The idea of a magazine was Ing. Giuseppe Volpe’s and Prof. Giorgio Paolini’s, the latter at the time was Director of the Machine Construction Department of the Polytechnic of Milan. 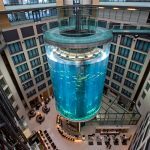 They felt the need of a system to communicate, exchange technical information and knowledge within the lift industry. In the meantime three more engineers joined the team: Andrea Ossola, Francesco Distaso and Beniamino Alfinito. 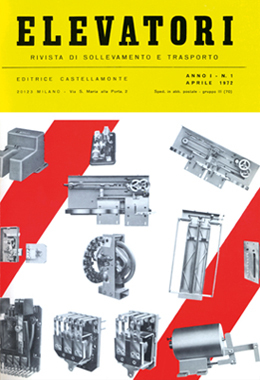 In 1972, ANACAM – Associazione Nazionale Imprese di Costruzione e Manutenzione Ascensori – Italian National Association of Elevator Companies) was founded. Elevatori became ANACAM official gazette. In 1980 Ing. Carlo Distaso joined the group as the Editor-in-Chief. He provided a fundamental contribution to Elevatori for twenty years, until 2000 when he suddenly and prematurely died. This position was then taken up by Ing. Giovanni Varisco, a prominent figure in the national and international lift industry. In 1989 Elevatori debuted on the international stage becoming bilingual in Italian and English. A very important contribution at this turn was provided by Dr-Eur.Ing. Gina Barney, the English Editor since then. 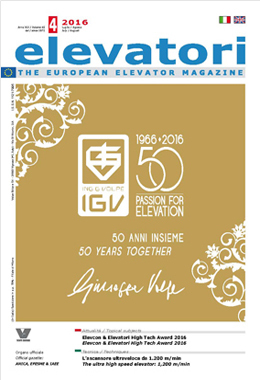 In the same period Elevatori became also the official gazette of the IAEE – International Association of Elevator Engineers. 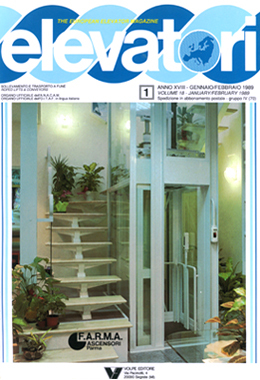 Elevatori is also the official Gazette of the ANICA – Associazione Nazionale Industrie Componenti Ascensori (Italian National Association of Elevator Component Manufacturers), EFESME (European Federation for Elevator Small and Medium-sized Enterprises) and is the magazine authorised to publish, in Italian, the official statements of the OITAF – Organizzazione Internazionale Trasporti a Fune (International Organisation for Transportation by Rope). Over the years Elevatori has grown in every respect. The current circulation is some 4,000 copies to more than fifty countries. 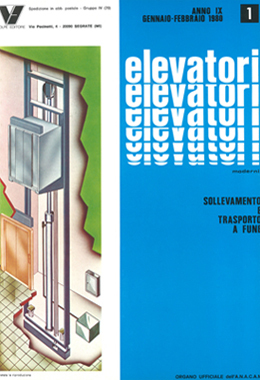 Elevatori is one of the leading international journals in the vertical transportation industry.